we are professional exporter establish in 1999. 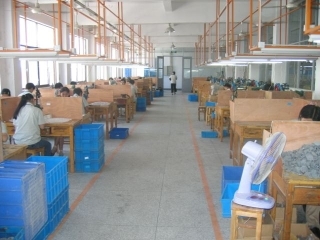 That our professional experience, strict quality control process and competitive prices enable us to enjoy stable orders from overseas customers. In order to fully satisfy our clients' requirements, we have begun to provide ODM services for our customers and have placed a large amount of emphasis on quality control and R&D since 2002. Customers' satisfaction is always our goal, and continuous improvement is always our strategy. With rich experience in exporting business and advantageous position, we are servicing many international customers from all over the world. By providing unique products with high quality and value added services, we are gaining a greater market share. In HNBC Company, people are our most valuable assets. We believe that only competent people can make things happen. In pursue of this belief, we constantly upgrade our people's qualities. Now our products are covering wide varieties of areas including USB, timers (digital timer and mechanical timers), clocks (digital clock, quartz clock, temperature clock, pen holder clock, photo frame clock), radios, calculators, pedometers, solar related products, else electronic products and promotional gifts . We are looking forward to becoming your supplying partner in the near future.